Ok, maybe not, but I thought this was funny. This was my sons homework from school tonight. I tweeted I wondered whose homework it was – mine or my sons? Anyway, interesting to see our world making its way to elementary education. Anyone else seen anything similar in their kids homework? 4th grade or younger? I’d be curious to find out. 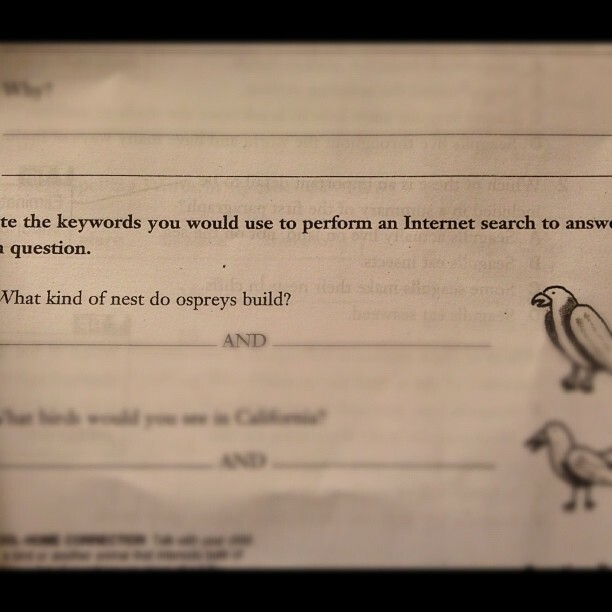 Kids Learning About SEO in 4th Grade?